Maker (MKR) is the 22nd most valued cryptocurrency. It has been on a relentless run as well. Today as well, it is up by 16%. Many of the investors are trying to figure out what is the cause behind such a run. We look into the details to find more. Why is Maker (MKR) up again by 16% today? 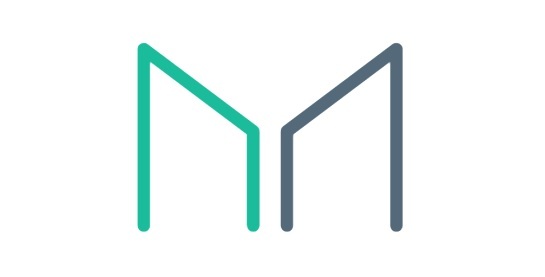 Maker (MKR) is currently trading around $ 724. The market cap is around $ 527 million. In the last 24 hours alone, it is up by approximately 16%. That is why many of the traders, as well as investors, are trying to figure out whether it can rise more or not. At the same point in time, investors, as well as traders, are also trying to figure out the cause behind the rise of maker (MKR). Earlier this month, there was also news that Andreessen Horowitz has backed maker (MKR) by investing $ 15 million. He has bought 6% of the overall tokens in existence. Also, he got the discount of approximately 25% during this transaction. The funding will be done over a period of 3 years. After this news broke out, maker (MKR) has been increasing consistently. This is one of the main reasons why traders are trying to figure out how much can it increase more. When this news came out, the market cap of maker (MKR) was around $ 356. At the current price, the market cap is around $ 527 million. Thus, it has increased significantly from those levels. This is the reason why many traders are planning on riding the momentum as well. On the other hand, since the rally seems to be overstressed, it is a good idea to be cautious of this cryptocurrency. Unless and until there are no other fundamental news, it would be a good idea to avoid this cryptocurrency for now. Only when you are able to do so, you can be sure that you will not be caught on the wrong foot when it retraces some of those gains as well. One thing which is for sure is that time and again, it is consistently rising and creating newer highs. Once the momentum subsides, there will be an erosion of value as well. The volumes of the cryptocurrency have not increased by such an amount that it might witness a consistent rally in the coming few weeks as well. In such a case, it might be a very risky proposition to buy it at these levels. The erosion of value can be pretty significant from these levels. Cryptocurrency News – Is this cryptocurrency exchange really facing insolvency?